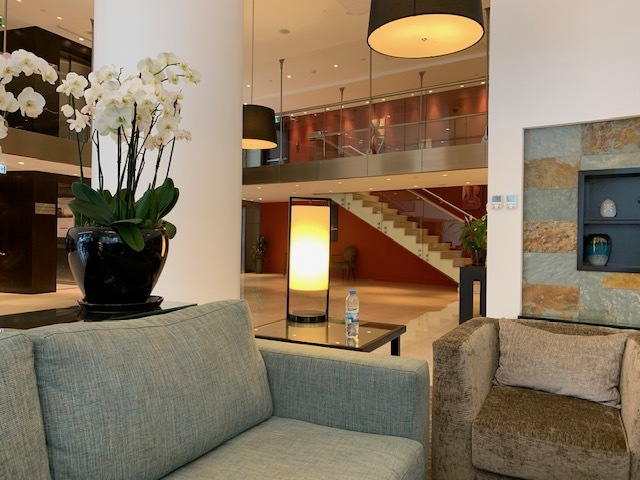 I was traveling to Beirut and in looking for a place to stay, I was looking for something nice and comfortable but that was also in close proximity (walking or short drive) to the sights I wanted to see. 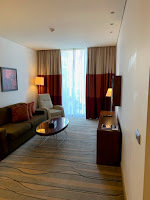 I looked at various options in Downtown but the reviews were not good, and I looked at places in Verdun but they seemed far; so I settled on the Staybridge Suites near Hamra. 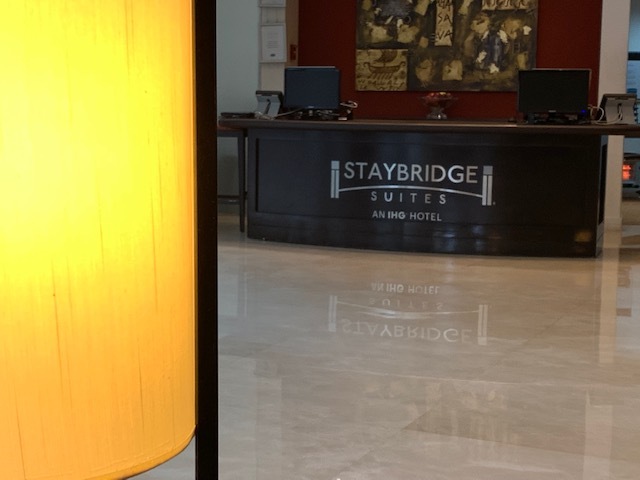 I have stayed in Staybridge Suites before in America and I enjoyed my experience of suite-rooms, complimentary breakfast, and complimentary evening socials – based on my previous experience I was looking forward to the stay. It was very easy to book the hotel through the IHG website and app, and through the app it was easy to manage my reservation. I had some questions regarding transport so I emailed the hotel, and their response time was generally good and they provided detailed answers. The hotel is located in between Verdun and Hamra in Beirut, and it’s about a 20 minute drive from the The hotel does not provide complimentary transportation to/from the airport, but it can arrange transportation through a local taxi company – I had arranged this through email with the hotel and when I arrived, the driver was waiting in the arrivals hall and it made for a smooth process to the hotel. From the outside, the hotel itself looks very nice and newly constructed. The glass windows on the outside let in a lot of natural light as well as providing an inside/outside concept. Once you go through security you enter into the lobby, with the check-in counters on the left and a sitting area on the right. Next to the check-in desks is the Pantry, in which you can buy snacks and other items you may have left at home, and next to that are the elevators. Check-in was relatively quick, the amenities of the hotel were explained, and I was given the key to my room. As the name suggests, all the rooms at the hotel are suites. My room as located on the 3rd floor and as you opened the door, it felt like stepping into an apartment rather than a hotel room. You entered into a room that contained the entreway, the kitchen, and a small dining table. It was a full kitchen with a stove, a microwave, dishes and utensils, pots and pans, and a small fridge. There was a small dining table right behind the stove, but it could only seat about two people. Beyond the kitchen was the sitting area with a pull-out sofa and two chairs that faced the TV on the wall. While the seating area was not large, it was sufficient and provided a nice area to relax and enjoy the food or tea while watching TV. The bedroom was located next to the sitting area. As you entered the bedroom, against the right wall was the bed (which was a large double or a small king size bed) with a nightstand on each side. There was a On the other side of the bed, there was a path with closets on either side that led to the bathroom. The bathroom was somewhat narrow but very long and contained a tub, a shower, a sink with lots of counter space, a toilet, and a bidet. As with the sitting area, the space was not grand but was sufficient enough to move around and contain lots of facilities. In becoming more environmental and green, there were refillable toiletry bottles in the bathroom – soap and lotion next to the sink and body wash and shampoo+conditioner in the shower and tub (they smelled really good). chair in between the bed and the wall, and across from the bed was a desk as well as TV mounted on the wall. 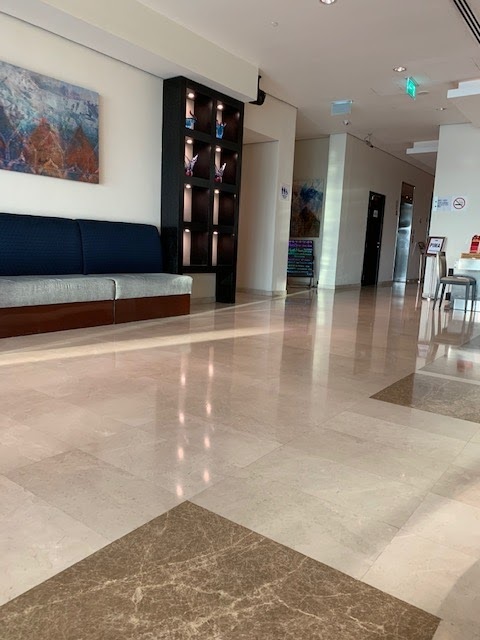 There are many amenities in the hotel for the guests to enjoy including complimentary breakfast, The breakfast, the coffee, and the evening social was on the mezzanine level which can be accessed by the elevator or via the stairs from the lobby. The mezzanine level was laid out such that as you got off the elevator, you walked into an area which housed the food items in the middle and ahead and the coffee to the left side. Beyond the food was the dining and seating area and beyond that was a smaller seating area with couches and a TV. There was also a computer in this area. The breakfast was very good and vast with lots of options including both Western and Middle Eastern. The evening social occurred three times a week and it is an opportunity to get to know the staff as well as some of the guests. The food served during the social is light, with some burgers and sandwiches but mostly chips and crudites along with drinks. complimentary coffee throughout the day, an evening social three times a week, a gym, laundry facilities, and complimentary wifi. The gym and the laundry facilities were located in the basement, and both were decent size and had enough equipment and facilities to provide a decent workout and decent laundry. 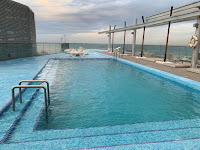 The wifi was complimentary and relatively strong (depending on the day and time you logged on) and the good thing about the hotel is that they did not restrict the number of devices, so you could connect all your devices (which is necessary these days). 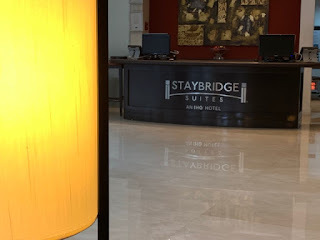 Overall, it was a nice stay at the Staybridge Suites. The hotel is nice and provides spacious rooms, a lot of facilities for the guests to enjoy, good service, and is within walking distance to many attractions and services. 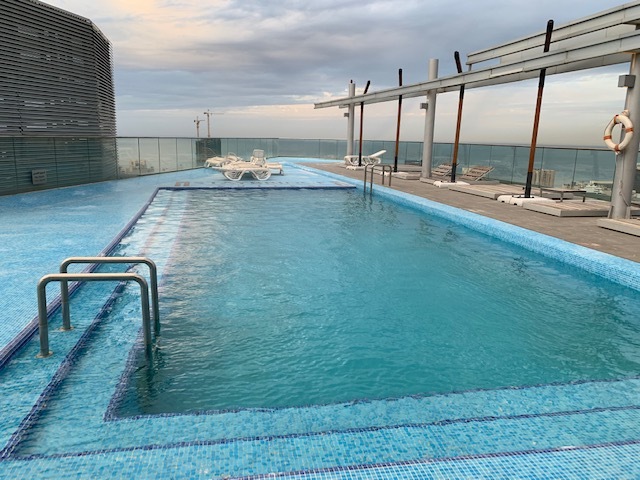 I was spending about 24-hours in Dubai and I was meeting someone who was spending only 12hours in Dubai, so I was looking for an inexpensive place near Dubai Airport that provided shuttle as well as early check-in. 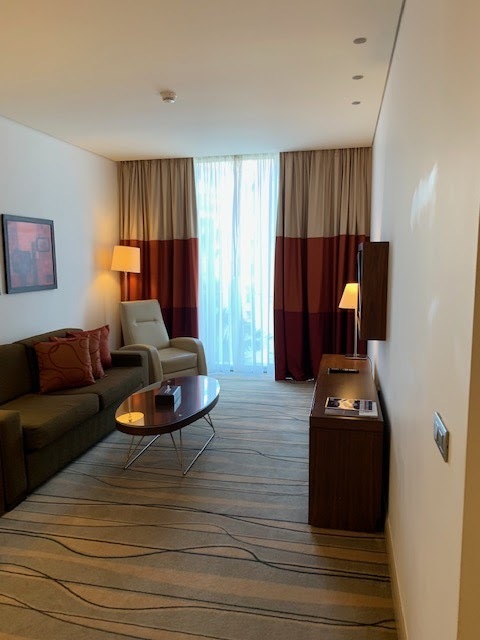 The Holiday Inn Express Dubai Airport is located across from T3 and in my previous travels I have passed by the hotel numerous times, so I looked online and found a good rate and decided to check it out. It was very easy to book the hotel through the IHG website or app, and I had some additional requests that I emailed to the hotel and they were very quick to respond. According to hotel’s website, the shuttle from the airport to the hotel runs every 30 minutes but I was not sure where the shuttle actually stops so I tried to call the hotel but no one every picked up the phone. The shuttle finally came and it was a 10-15 minute shuttle ride from either T1 or T3 to the hotel. The hotel itself is quite large and there are a lot of rooms, but there is nothing around the hotel that is within walking distance; everything is about a 10-15 minute car ride away. Considering the hotel caters to passengers departing and leaving at various times, their policies are a bit different than other hotels. 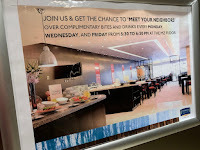 For example, if you check-in that day and are leaving that night (ie not staying until the next morning) then the breakfast in the morning you check-in is complimentary. Check-in times can also be early as well, but only as early as 8am if you have booked one night; if you want to get a room earlier you have to book a room for the previous night. As you enter the hotel’s lobby, the check-in desks are to the left while straight ahead is the waiting area with couches and chairs. To the right is a little shop where you can buy snacks, drinks, and some basic items. Further ahead on the right is the breakfast area and the room is large, spacious, and can accommodate a lot of guests. There is a tour agencies desk in the middle of the lobby as well as bathrooms and meeting rooms as well. I had arrived around 6am, which was too early for me to check-in but early enough to access the breakfast so I decided to enjoy the complimentary breakfast while waiting for my room. I have stayed in Holiday Inn Express hotels in the U.S., and their complimentary breakfast is standard and a bit unappealing. 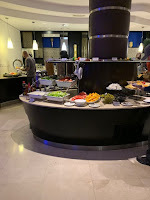 That is what I was expecting here, but at this hotel the complimentary breakfast is very large and has a decent variety of various breakfast items (the breakfast was comparable to that offered in 3-4 star hotels). 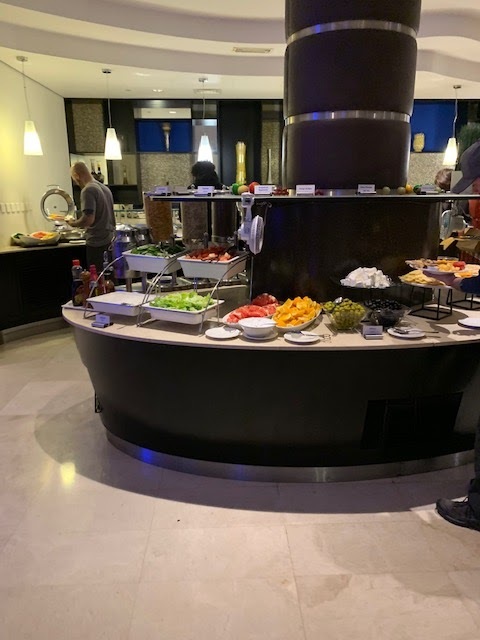 There were hot dishes – including eggs, beans, and potatoes – bread, cheese, salad, fruit, coffee, and a variety of other items; overall, I was very impressed with the breakfast. I was finally able to check-in and access the room around 8am, and the room itself is a bit underwhelming. 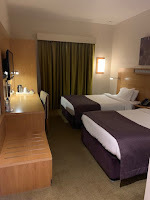 The layout and quality of the room and bathroom reminds me of the ibis hotels, which are also basic hotels that offer lower rates with lower standards of rooms. As you entered into the room, on the right was the bathroom which contained a side sink, a toilet, and small stand-up shower, as environmentally-friendly, refillable toiletries – one in the shower and one next to the sink (very similar to the ibis hotels). Further into the room, on the right were the two beds, double-size beds, with a nightstand in between. Across from the beds was a desk and above the desk was the TV while below was a mini-fridge. Next to the desk was an large armoire that also was the closet, and if you opened up the closet there was full-length mirror in there. The beds themselves were of decent size and quality and provided a decent night’s sleep. The size of the room was also decent, not too grand but not too compact either. It was a good layover or transit-size hotel room, but only good for a day or two. Amenities for guests at the hotel included the complimentary breakfast, parking, a health and fitness center, shuttle to/from the airport (at select timings), laundry service, complimentary wifi, and a computer and printer in the lobby. The complimentary wifi was available in the lobby for all guests and in the room as well as for guests. The wifi speed was good enough for checking email, doing work, and streaming videos on YouTube. The airport shuttle was convenient, but it was limited in its timings so you had to make sure to schedule around the shuttle timings. As I said, there was little to nothing around the hotel in terms of walking distance; the only thing in walking distance was the metro station, which was a 5-10 minute walk and you are one-stop way from T1 or two stops away from T3. Overall, the hotel provided complimentary shuttle, complimentary breakfast and a decent night’s sleep. The room was basic but clean and updated, and the considering the low price it was a good value. 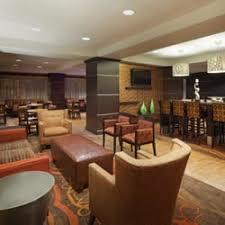 Overall, the hotel provided a nice and affordable transit or layover hotel. I was supposed to be traveling from Pakistan to Dhaka on SriLankan, but my flight was cancelled due to the airspace closure. 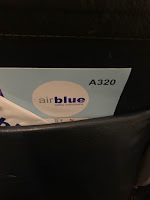 I then had to rebook a flight to Dubai and the only option that was available was airblue. 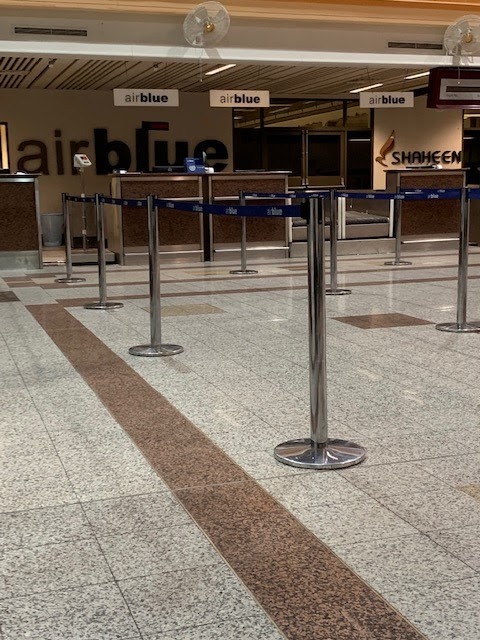 Airblue is a Pakistani-based airline that has been in operation since 2004, operates an all-economy fleet, and operates domestic as well as select international flights. With a fleet size of 8 aircraft, their operations are limited with usually one flight a day. 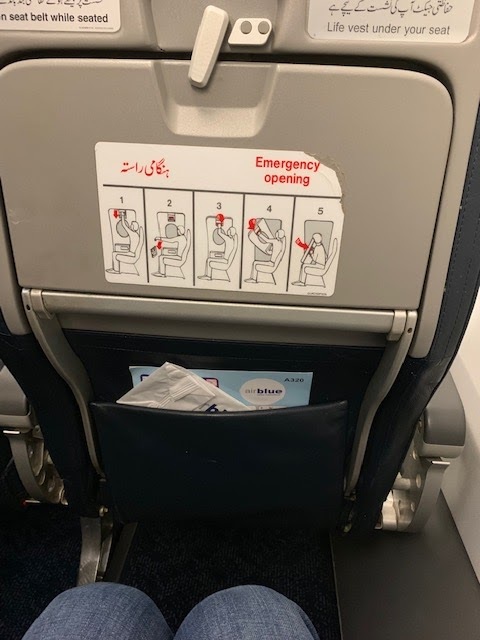 This was my problem with them during my previous encounter with them – my last experience with the airline was about 7 years ago and it was the same route, Lahore to Dubai, but the return was from Abu Dhabi. The outbound flight never came and thus the return was cancelled and it was handled very badly; after that I tried to avoid flying on the airline (see full review here). Given this, I was not looking forward to the flight but this was the only option available given the circumstances. Navigating through the airblue website is generally easy and user-friendly. You can easily search for your flight, see what options are available, and select the flight. Once you have selected your flight and entered your details, you can then either choose to hold the flight or book directly with a credit card. In my previous experience, I had booked with a credit card and had difficulty at the airport as the credit card needed to be verified. To avoid all that, I put my reservation on hold and could go to the local sales office or any travel agent, pay the fee and received a print out of my ticket. My flight was scheduled to depart Lahore at 02:20am and arrive into Dubai at 5:35am. I went to the airport early for 2 reasons: 1) on the website, there is no option to preselect your seat or to check-in, so the only option to check-in and receive your boarding pass is at the airport; and it is on a first-come, first-serve basis (you can request seat assignments with the travel agent or through the phone, but it is a request and it is not guaranteed); and 2) given the flights had only recently opened, I wanted to ensure I was able to secure my seat. I arrived at the airport at 11p and the counter was scheduled to open at 11:30p. Around 11:15p, the check-in staff arrived and opened the counters early to allow the waiting passengers to check-in. The ticket price includes complimentary checked-baggage allowance of 20kg and hand-carry I did not have any baggage to check-in, and my hand carry was not weighed on the outbound. Given the flight time and my previous experience with the airline and their limited seat-pitch, I had requested an exit row seat and the request was granted. I proceeded to the gate as the flight was scheduled to depart at 2:20am with boarding beginning at 1:30am. 1:30am came and went but there was no announcement of the flight, but around 2am an announcement was made stating will start soon. Boarding started around 2:15am and passengers were loaded from the rear to the front. Even though boarding started late, passengers were boarded and seated and we pushed back around 2:30am. Right after boarding, newspapers in both English and Urdu were passed out the customers, and this was the only form of onboard entertainment. Manual safety demonstrations were done and we took off for Dubai. The normal flight time to Dubai is about 3hr, but the plane needed to take a longer route considering the closed airspace and this made the flight time 3hr45mins. The lights inside the aircraft were dimmed for takeoff, and they remained dimmed for the first 1hr30min of the flight. As it was in the middle of the night, most passengers were already asleep anyway so this allowed for the passengers to get more rest. About 2hrs in the flight, the cabin lights were turned on and the inflight service commenced. A complimentary meal plus drinks were provided (the crew did come around with water for everyone as soon as we reached cruising altitude). 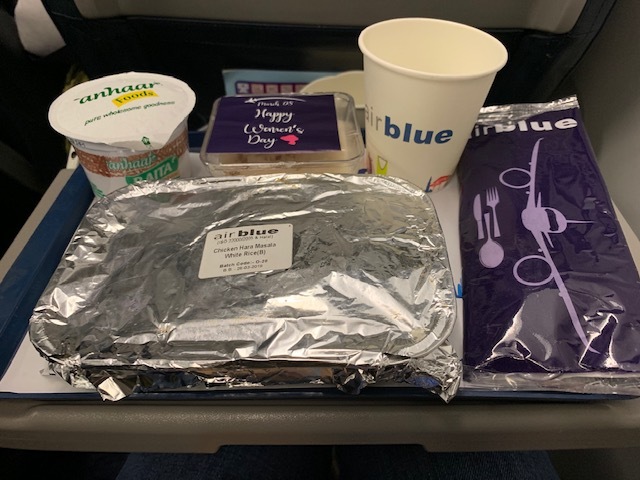 There was only selection for the meal and the meal consisted of chicken masala, rice, kheer (dessert), and yogurt (you could apparently request a vegetarian meal from either the travel agent or directly with the airline, but the request is not always guaranteed). This was served along with complimentary soft drinks, juice, and later tea and coffee were also served (along with water again). The meal size was decent, not too small but not too large either and would be sufficient for the 3-hour flight. About 30minutes after the meal trays were cleared, we started our decent into Dubai and we landed right on-time. I decided to try a regular seat instead of an exit row; that was a mistake. The operating aircraft was an Airbus A320 (previously operated by Ural Airlines) and it was definitely a smaller and older plane. The seatpitch and seat width were both definitely smaller, in fact when I sat in my regular seat my knees literally could not fit into the seat (I am 6’1); I had to sit sideways in order to fit into the seat. Luckily an exit row seat was unoccupied so I quickly moved there as soon as boarding was completed. As the operating aircraft was smaller, the airline and the ground staff were very strict about enforcing the 7kg handcarry rule. They went around the waiting area weighing and tagging passengers handcarry. It was a bit disruptive but the checkin staff did mention that 7kg was the handcarry limit, and this included any duty-free items purchased (which is the first I had heard for any airline). Other than these items, the return flight was similar to the outbound; newspapers were distributed, the inflight service commenced only about halfway through the flight (even though this was an afternoon flight), the seat was a basic seat with no inflight entertainment, and seat padding was minimal. As we departed late, we also landed about an hour behind schedule. Overall, it was an interesting flight experience with airblue. They seem to be a hybrid between a full-cost and a low-cost carrier. 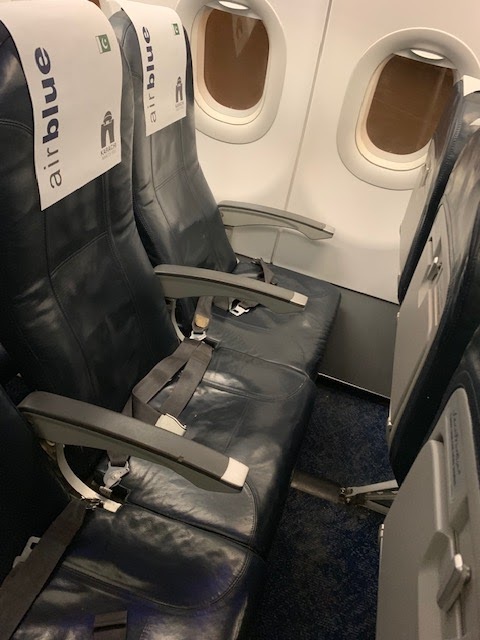 Their ticket prices include complimentary checked baggage as well as hand-carry, and they also provide complimentary meal and drink service; however, there is no entertainment on-board, the seat pitch, width, and cushion are all minimal. I booked a higher fare for this flight as I booked last minute and the airspace had just opened so there was a lot of demand; however, even normally the fares for this flight seem higher given the experience. You pay a high price and in return get a combo of full-cost and low-cost airline experience. 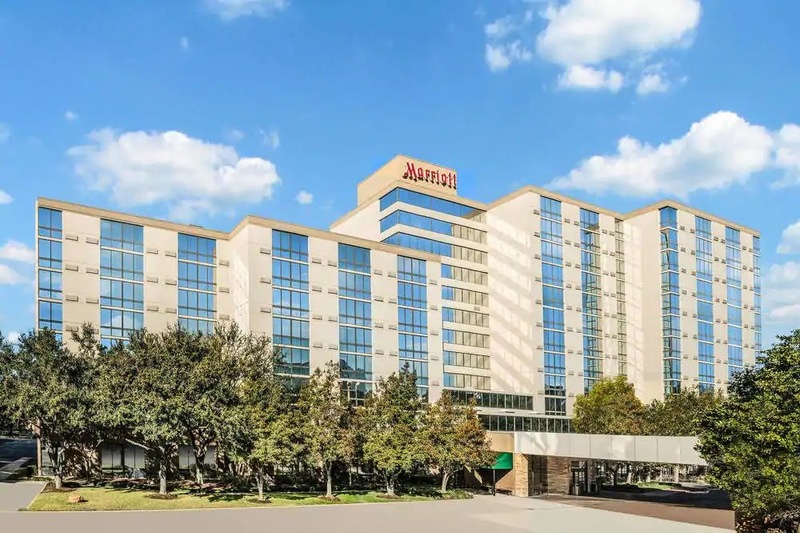 I have been trying various hotels in and around the Houston Galleria area trying to find one that has a decent quality of sleep as well as a decent price. I had seen the Hampton Inn in my previous researches and this time decided to try it out. Overall, it was a nice and updated Hampton Inn which provided a spacious room, with comfortable beds, and good customer service. The negatives were odd location of fitness center, lack of lighting in the parking lot, as well as the price --- the price was a bit high for what I would normally expect from a Hampton (i.e. I paid the same amount here as I have previously paid at the Doubletree or Hilton); and a comparable hotel in the area, the Courtyard, was less expensive. 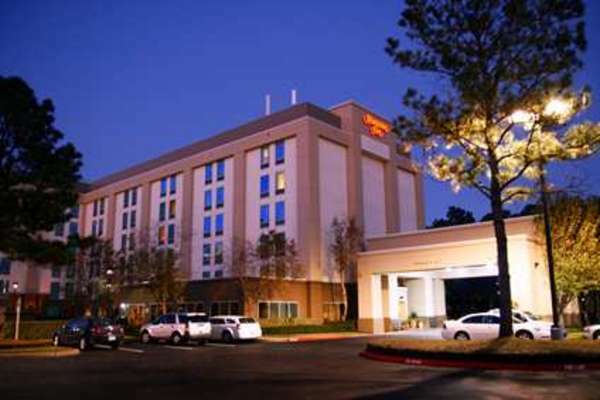 The Hampton Inn is located about 10 minutes away from the Galleria – so not walking distance but a quick drive away. There are two entrances – either from the Highway side road or from the main road. Both of the entrances are not clearly marked but you can see the hotel before the entrance. Parking is available in the front of the hotel or you can go to a gated section next to the hotel – both are paid parking and both need additional lighting as it was rather dark and dim at night. When you enter the hotel, on the right is the check-in desk while on the left is the dining room/lounge area where complimentary breakfast is served. We had e-checked in through the app and just needed to pick up our key (in my opinion, Hilton needs to introduce a computer or something else to allow those who e-check-in to just pick up their key and go). The staff were very friendly and nice and warm – this touch of customer service was appreciated. As you walk down the hallway towards the elevator, you pass an open business center - with two computers and a printer - as well as meeting rooms. The layout of the first floor and elevators is odd – you have to walk almost ¾ down hallway from the lobby to get to the elevators and you pass many guest rooms to get there. Midway down the hallway is an entrance to the parking lot, but that is not connected to the elevators and if you enter through this entrance you have to continue to walk past guest rooms to get to the elevators; the elevators are located in the middle of the hallway and across from guest rooms. The fitness center is located at the end of the hallways, in the middle of the hallway between guest rooms – it looks like they took out one room and made it into a fitness center; not the best idea. We had requested and chosen a room with two double beds and our room was a standard Hampton room. As you opened the door, on your right was the bathroom. The bathroom was standard with a tub, a sink, a toilet, as well as toiletries - the size was also standard, not too big but not too small. Next to the bathroom was a huge door covered with a mirror (nice touch) and it was a swinging door that opened up to the closet. Beyond that was the two double beds – both of which were comfortable but a bit on the small side. In between the beds was a nightstand and across from the beds were a microwave, fridge, a chest with 3 drawers on the bottom and the TV on top, as well as a desk. Overall, the room was decent, spacious enough and comfortable but not overly spacious. In addition to the fitness center and business center, other amenities the hotel provided were complimentary breakfast, complimentary wifi, and paid parking. The complimentary breakfast was standard and decent, and the wifi was fast enough to check email and watch videos. Overall, it was a decent stay at the Hampton Inn. The hotel was updated and provided standard Hampton amenities. The negatives of the hotel included the lack of lighting in the parking lot, the odd location of the fitness center, and the costs which seemed a bit high for a Hampton (it seems they were pricing for the area rather than for the product). I have taken many flights between Atlanta and New Orleans, and on this sector there are three options: Delta, Southwest, and Spirit. Delta has the most frequency while Spirit has the least frequency, with Southwest in the middle. Delta is usually the most costly, while Spirit and Southwest are the most economical (depending on the month and depending on what extras you need). I have mainly flown Southwest given their frequency and my flexibility, but for my most recent trip I booked Spirit. 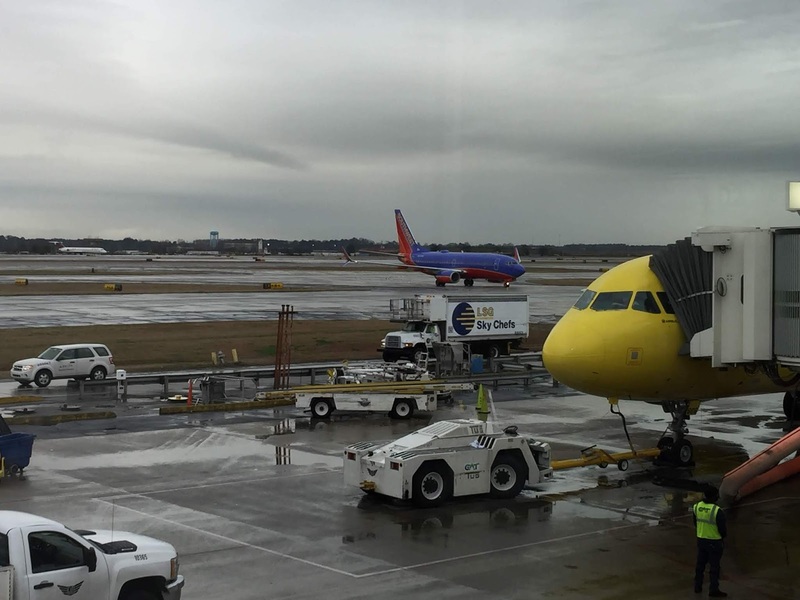 I was returning from Atlanta to New Orleans the day after New Year's and I booked the ticket somewhat last minute, and when I was looking Southwest was significantly higher in cost than Spirit. Spirit only had one flight a day - which departed Atlanta at 3:44p and arrived into New Orleans at 4:29pm - and the base fare was $80.19. 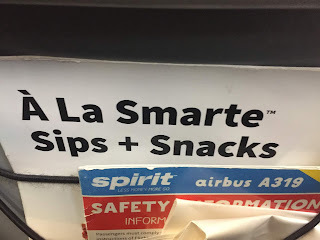 I say base fare because Spirit is a low-cost airline so they charge for everything, from checked-in baggage and carry-on baggage to onboard services such as drinks and food; nothing is for free. You are only allowed one personal item for free, and this must fit underneath your seat. A larger carry-on must be paid for - either $35 at the time of booking or $65 at the gate (which is a steep cost). You can also check-in a bag for $30, but it is at 40lbs instead of the industry standard of 50lbs. I was only going to be traveling with a small carryon, and I don't mind not receiving onboard service for the 1hr flight so for me the $80.19 base fare worked out so I went ahead and booked it. It was pretty easy to book the flight through the website, either through the computer or through the mobile site; on the website you can choose the extras such as adding bags and preselecting your seat (I added none of the items). Spirit does have a phone app which I downloaded, and it was completely useless as I could not book a flight through the app, could not add my booking to the app, and could not manage my booking through the app. The only thing I could do on the app was check-in (more on that later) or check the status of the flight. Spirit really needs to improve its app functions! Leading up to my flight, Spirit would periodically send me emails reminding me to purchase seats or prepurchase bags. 24-hours prior to my flight, I tried to check-in through the Spirit app but I was not able to complete the process. During the check-in process, there is still a cost to preselect your seat (most airlines do not charge for seat assignments during check-in, but Spirit does) and since I did not want to pay I choose not to preselect and gambled with Spirit selecting my seat; because of this gamble, I was not able to obtain my boarding pass until I went to the airport. This can be a pain for some passengers who wish to bypass the whole 'check-in at the airport' mess. 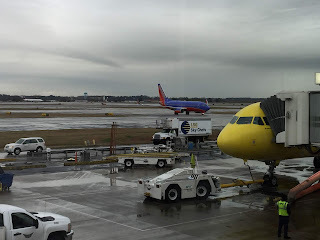 My flight was scheduled to depart Atlanta at 3:44pm and because Atlanta is a big airport and because I had to check-in at the airport, I arrived at the Spirit counters 2-hours prior to the scheduled departure time. There were a lot of passengers surrounding the check-in desks and they were broken up into three lines: those who needed gate agent assistance, those who were waiting for kiosks, and those who were waiting to drop their bags off after going through the kiosks; the only line that was not long was the one for the kiosks. Spirit generally charges you to print the boarding pass at the airport, but each time I have checked-in through the kiosks I have not had to pay this fee. I went to the kiosks, followed the prompts, and received my boarding pass. As a seat assignment, I was given 8F which is a window seat and a seat, which had I selected it at check-in, probably would have cost me $8-$15. Not pre-selecting a seat is a gamble and I have seen many passengers take this gamble, and sometimes you win and get extra legroom seat as that's the only seat left on the plane, or you lose and get the last middle seat on the plane. I was lucky in that the gamble paid off and I was given a good seat assignment, and I proceeded to the gate area. 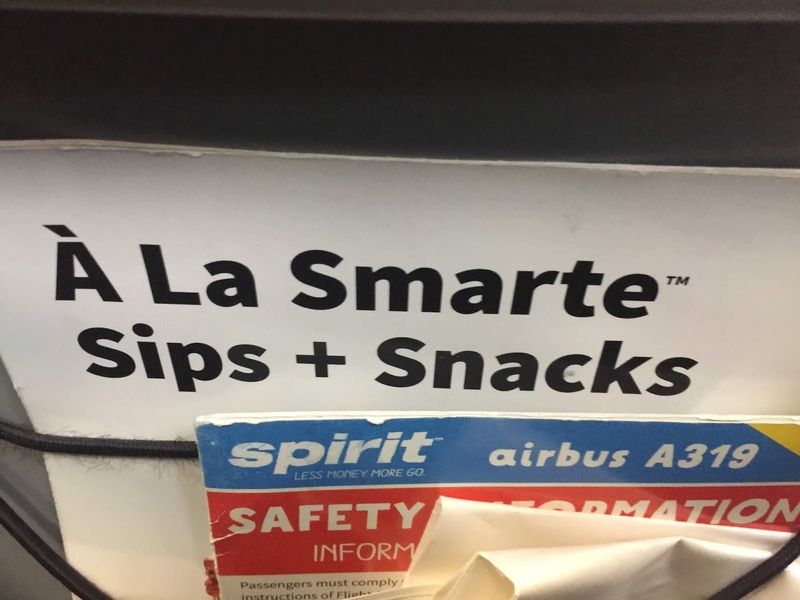 Spirit is a low-cost airline so they charge for everything, including onboard snacks and water. 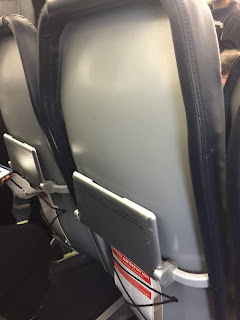 The fare that I had purchased only allowed for a complimentary personal item that fit underneath the seat in front of me, as an additional carry-on would incur a fee. Since Spirit does not provide complimentary drinks or snacks, I prepurchased these at the airport prior to my flight. 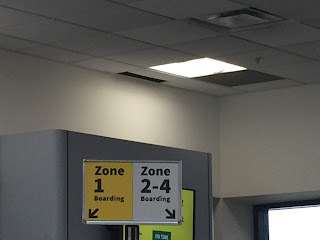 The inbound aircraft for our flight was delayed arriving into Atlanta, and this delayed the turnaround time thus delaying our flight; and while the gate agents did inform us of the plane's arrival and turnaround time, they never mentioned a delayed departure time. Once all passengers had deplaned, the gate agents asked passengers who needed special assistance and those in Group 1 to line up to board. Spirit boards by groups, with those who pre-purchased carryons in Group 1 and those who have nothing are in Group 4; I was in Group 4 but the groups are generally not really enforced. Once onboard, the operating aircraft was an Airbus A319 in a 3-3 seat layout. While you cannot recline the seats, they are already in a reclined position which makes the seat pitch feel greater than it actually is. 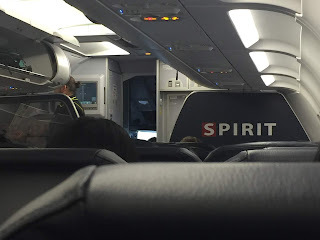 Having said that though, both the seat pitch and seat width were better on Spirit than some other full and low-cost carriers (including Southwest Airlines). Once seated, the boarding doors closed a bit behind schedule, a manual safety demonstration was conducted and we taxied to the runway for takeoff. After reaching cruising altitude, I was able to switch seats to row 5 as the passenger in my row was larger and needed the extra room; so myself and another passenger moved up. The flight was relatively uneventful as its up to the individual passenger how they would like to pass the time. The flight attendants were generally nice and helpful, and they came by with their cart as passengers could purchase drinks and/or snacks. The lavatory on the Airbus A319 was also generally larger than some of the other planes I have flown on (again comparing it to the Boeing 737 flown by Southwest). As the flight time was only 1hr and 06min, we quickly started our descent into New Orleans. We were scheduled to land into New Orleans at 4:29p and we landed around 4:35p, so a little behind schedule, and we quickly taxied to the gate. Overall, it was a pleasant flight with Spirit. 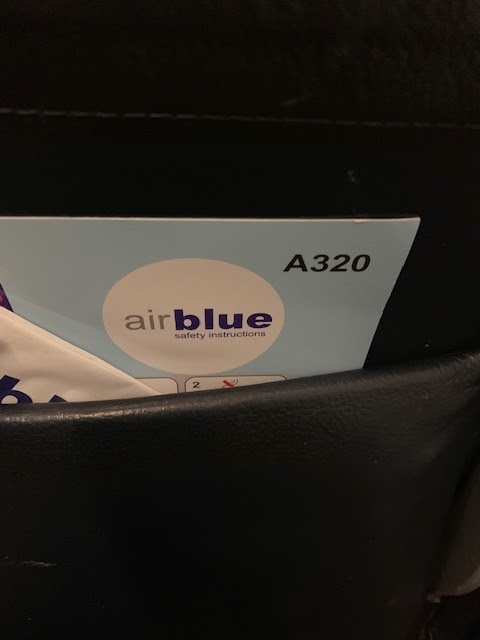 The airline has had many detractors and it has been trying to improve its image and reliability, and those improvements seemed to have been reflected on my flight. The crew were generally pleasant and courteous, the airplane was clean, the seats were comfortable and had a good pitch and width, and generally the flight was good. Yes the airline does require you to pay for every thing, but to be fair they do make that information very transparent to the passenger so you know what you are getting into. If you know what you are getting into and have set your expectations accordingly, you can expect a good flight with Spirit. We were flying in and out of Intercontinental Airport (IAH) so needed to find a hotel near the airport that also provided parking. 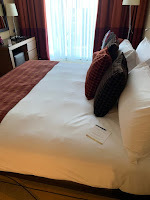 There are many hotels around the airport and previously I had stayed at the Hilton Houston North (review here). 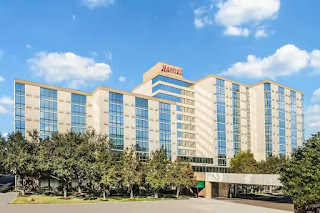 It was an enjoyable experience but I wanted to try another option and choose the Houston Marriott North (both the Hilton and Marriott share the shuttle to the airport). The hotel itself covers a massive property about 10-15 minutes from the airport and is surrounded by many other hotels. Even though this area has many hotels, there are not a lot of services in terms of restaurants or stores within the area (especially within walking distance, but this is Texas so who walks). The hotel has a massive lobby that includes a restaurant, sitting area, and check-in desks all the way in one corner. While the open and big lobby is nice, it does make it a bit hard to navigate to the check-in desks. 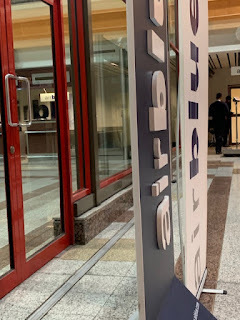 The customer service at the check-in was lacking (it was lacking all over the hotel, but more on that later) as when I checked in I was not greeted as an Elite Marriott Rewards member nor was I given information about the amenities of the hotel. I took my keys and proceeded to the elevator which took to my room. The elevators are located at one end of the hallway with the rooms located in the hallway. There is only one set of elevators so if your room is at the middle or end of the hallway, it is a long walk to the room. The room itself was a standard room but the oversized furniture made the room feel smaller. As you entered the room, there was a hallway with the the bathroom on the left side and a closet on the right. The bathroom had standard facilities of a toilet, sink, and bathtub and was a decent size - not too small where it was confined but not large either. There were nice bathroom toiletries available and an abundance of towels also available (in various sizes as well). The closet contained a place to hang your clothes as well as a iron and ironing board. The hallway leads into the main part of the room, where the beds are against one wall and other furniture across from it. The beds were comfortable and provided a decent nights sleep, and in between the beds was a shared nightstand. Across from the beds was a chest with the TV on top and drawers on the bottom, and right next to that was the large desk. In between the bed and the window was a chair and a footstool. While all the furniture was appreciated, it was too many items and too large of items to fit comfortably in the small room - it made the room feel small and cramped. In terms of customer service - there is nothing negative to say but then there is nothing positive to say. I was not greeted as a Marriott Rewards customer upon check-in and during another instance, we had requested to stay beyond check-out time. Check-out time is 12pm with late check-out being 2p, and we wanted to check out at 4pm or 6pm and was told that this would cost me 1/2 day rate of the rate I paid for the hotel; Starwood hotels provides a 4pm or later check-out for all its Starwood members so for Marriott to be this stingy is not a good business model. At the time of the booking and stay I was a Marriott Rewards Elite member and no concessions and no additional service were provided. Even if I did not have this experience, I still would have rated the customer service as average to poor and needed improvement. The hotel is a full-service so there are many facilities for the guests to enjoy. These include wifi, a fitness center, meeting rooms, restaurants, a pool, a business center, and a shuttle to the airport. The fitness center was massive and was very nice; the fitness center provided free apples and water which was a nice addition. The hotel also offers a laundry facility where guests can wash their clothes (although the facility looked a bit dated). The wifi was complimentary and was of decent speed; fast enough to load videos and check email. The shuttle is one that is shared with other local hotels and mainly transports guests to and from the airport. Overall the Marriott provided a decent room and nice hotel amenities - such as computers and printer services in the lobby, a really nice and expansive fitness center as well as a nice pool area. Some of the negatives include a smaller room - it seemed a bit compact - and not great customer service. 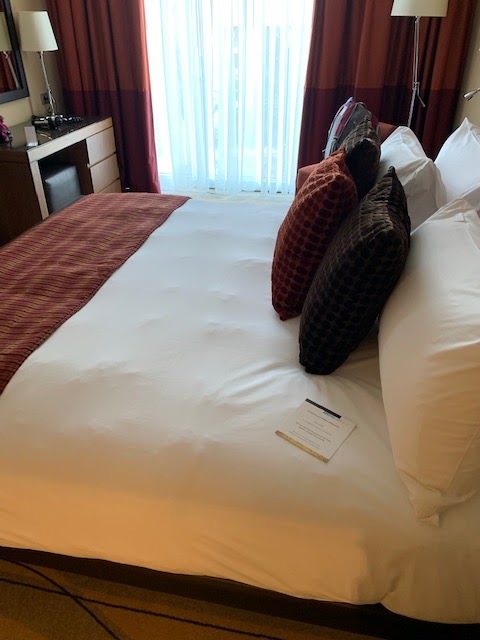 There are many hotels in the area, so given the choice I would not choose to come back to the Marriott as surrounding hotels have equal room size (or bigger) and more importantly better customer service. Cuba has always been on my list of travel destinations, but as an American-passport holder that possibility has only recently opened up. The possibility of traveling to Cuba from America keeps ebbing and flowing, so I wanted to travel to the island while it was still possible. There are no direct flights from New Orleans to Havana, so I was looking at the range of connection possibilities. 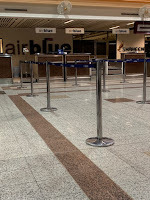 Most of my connections were through Florida - jetBlue had me overnight in Fort Lauderdale as did Southwest (but I flew to Mexico on Southwest and they can't seem to figure out how to connect their international and domestic passengers). I had miles on American so I looked at the award availability and two months prior to departure there were plenty of seats and options available. The award was 25,000 miles per person (roundtrip) plus taxes and fees so that came up to 50,000 miles plus $175 for two passengers. availability, able to see the various options, and easily book a flight. While you cannot book award flights through the app, once the flight is booked you can manage the flight on the app. Our routing was New Orleans to Havana via Miami, and the same on the return. We were scheduled to depart New Orleans at 6:13am, connect in Miami with 1hr20min layover, and arrive into Havana at 11:50am. While booking the flight, and afterwards through managing your reservation, you are able to preselect your seats. American has Main Cabin Extra with extra legroom seats, for a price and near the front of the cabin; followed by Main Cabin which are standard seats just at the front of the plane, again for a price; and then more Main Cabin seats which can be selected for free. My free preselected seat was an aisle at the back of the plane, about 4th row from the back - I do know of other passengers who wait and do not preselect a seat; its a gamble as sometimes they get stuck in the middle while other times they are given the extra legroom seats for free. 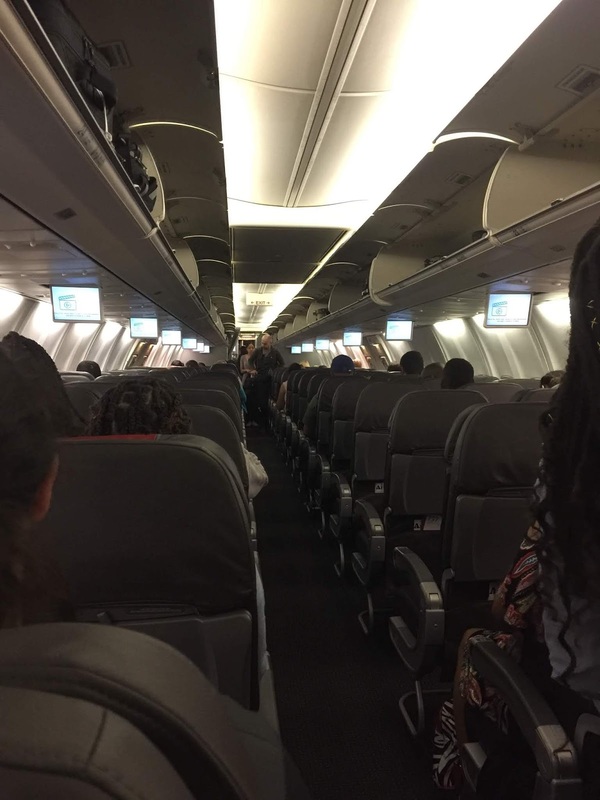 The flight from New Orleans to Miami was scheduled at 1hr53min so given the short flight time and the layover period in Miami, I was not that concerned about seats. 24-hours prior to the flight I tried to check-in online but I needed to go to the airport to scan my passport to complete the check-in process. I was able to do through the kiosk and it was very interesting that I went through the entire process without interacting with any airline employee. It was a full flight to Miami and boarding started about 30minutes prior to departure. American has up to 9 boarding groups (way too many in my opinion) with Boarding Groups 1-4 being priority and 5-9 being in Main Cabin. I was in Boarding Group 7, and the boarding groups went by pretty quickly so we were seated and on the plane ready for an on-time departure. The plane was in a 3-3 seat layout and the seat pitch was decent. 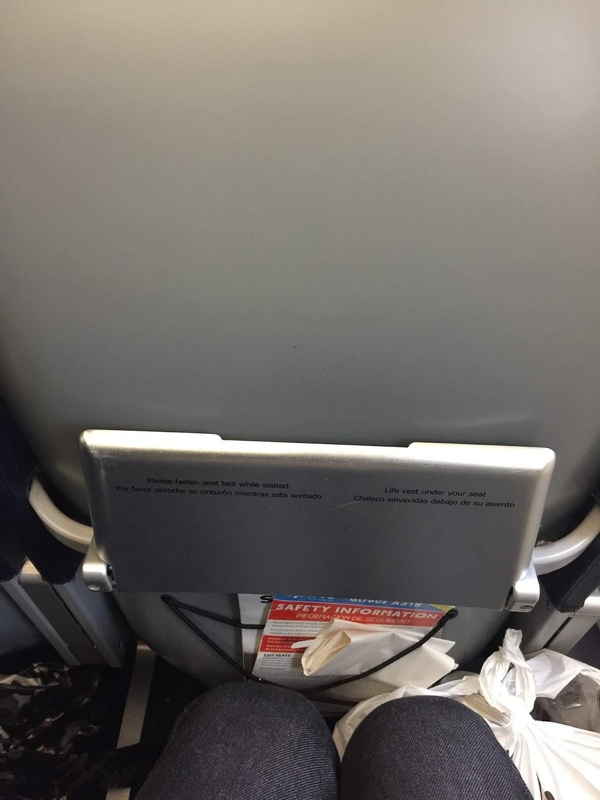 The seat width was a bit narrow and the seat was also low to the ground (which made my knees hit the tray table). The seat itself was very plain as it was a plain seat with a tray table and a pocket for magazines and safety cards below it. Video screens dropped from above the cabin to display the safety video and we pushed back for our departure. Taxi time at New Orleans is generally short and quickly we were airborne and destined for Miami. Once we reached cruising altitude, the attendants started their inflight service. Complimentary soft drinks and tea/coffee were available as well as a small snack (biscoff cookies and/or pretzels). 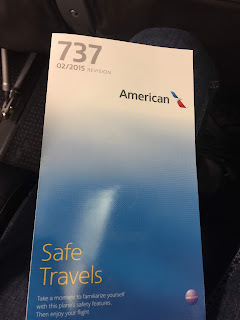 A lot of people have been talking about American's service, or lack there of, but the service on this flight was was good and decent given the short flight duration. After the inflight service was finished, most passengers spent the rest of their time on the entertainment system. While there were no PTVs, American did provide movies and television shows accessible through the wifi and through your own personal device. The system was fast and the selection was pretty good, there was enough to keep you entertained for a decent amount of time. After a bit, the captain announced we were starting our decent into Miami and the cabin was prepared for landing. 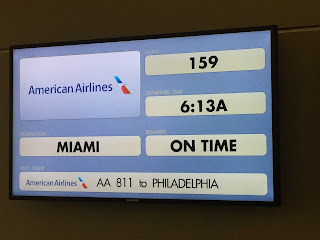 We landed in Miami on time, taxied to our gate, and exited the aircraft. I had about an hour to switch terminals in Miami and the time was needed as the distances between gates are great. Miami is easy to navigate, but there are not many food options available in the airport and that is a big negative. We finally got to our gate, and it was very chaotic. In addition to the check-in desks, there was also the 'Cuba Visa Desk' which basically was a guy with a rolling cart. This is where you could purchase Cuban visas (at an additional costs) and also where the visa needed to be stamped if you had prepurchased the visa (after you book your ticket, American sends you a link to a site to pre-purchase your Cuban visa; the process is simple but the processing fee is almost as much as the visa and this is something that varies among airlines). 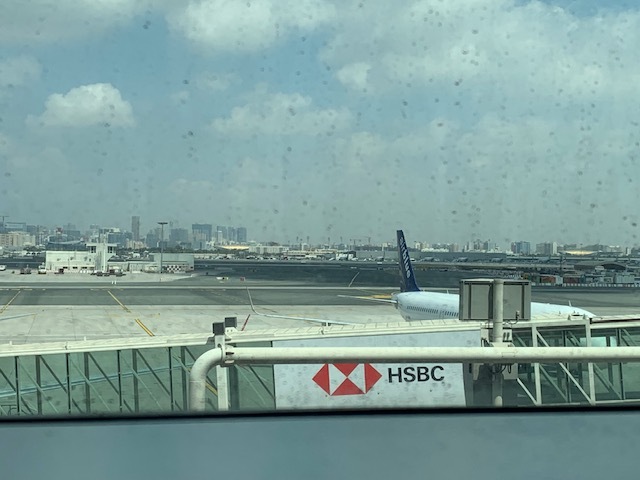 As I said, it was chaotic at the boarding gate so announcements were not being made, including the one to stamp your visa prior to boarding (we found this out at boarding time). Boarding started on time around 10am, but there were a lot of passengers with multiple hand carry's and the gate agents definitely seemed overwhelmed. Boarding went through the 9 groups, and multiple times the gate agents had to reinforce the announcement to only board with your boarding group. With all the chaos and commotion, boarding took a while and we were still on the ground with the doors open at our departure time. Finally, around 15minutes after our departure time the boarding door closed and we were ready to depart to Havana. The operating aircraft for this flight, as well as the return flight, was again a Boeing 737-800 in a 3-3 seat configuration. 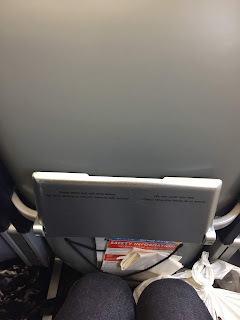 The seat had no PTV and instead had a plain seatback with a tray table and a pocket for magazines underneath it. You could access entertainment through your American's wifi and your own personal device. The seat pitch was decent (except for if you are tall then the tray table hits exactly where your knees are) but the seat width was narrow and the seat comfort was minimal. The flight time from Miami to Havana was only 50minutes, so given the short flight duration minimal beverage service was only available; this meant that only water or juice plus pretzels were handed out. After the inflight service, it was time for most passengers to complete immigration forms prior to landing. We started our descent into Havana and landed about an hour behind schedule, and after a quick taxiway we deplaned and proceeded to immigration. The return flights were similar to the outbound flights, as the flight times and operating aircrafts were the same. The only difference was that the operating aircraft from Miami to New Orleans, again a Boeing 737-800, had PTVs on each individual seat. 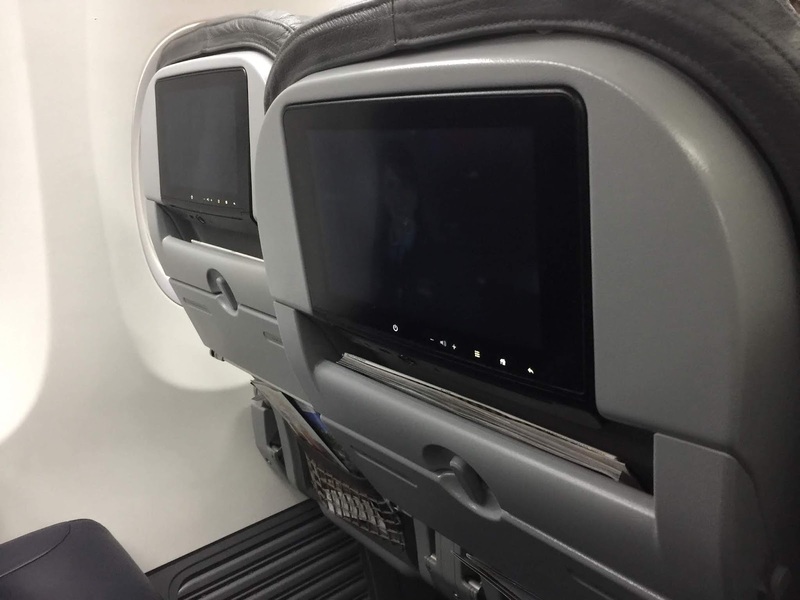 For a while American had decided to install PTVs on each seat in their fleet, but then they decided to go with entertainment through your own personal device; this meant some planes have PTVs while others. The PTVs are very nice, has a USB port and headphone jack underneath them, are very responsive, and have a decent selection of movies and tv shows. Other than the PTVs, the service, operating aircraft, and overall experience for the return flights was similar to the outbound flights. Overall, it was a decent flight with American. I had heard some negative experiences fliers had with American regarding delayed flights and poor service so I was expecting the worst; what I got was a decent airline with decent service and decent planes. I have flown with United recently and my experience on American was similar to that of United - basic service and basic amenities. While American would not be my first choice, I would not go out of my way to avoid them either; if the fare and schedule fits, then I would choose them again.